Camp 3 Upper Terrace of Labuche Kang. Photo: Krzysztof Murarski 2016. Luke Smithwick may be the most prolific American climber ever in the Himalaya. Guiding in the mountains since the age of 18, Smithwick has Everest (North, Northeast Ridge), Shishapangma (Northwest buttress, ski descent) and over 50 unclimbed Himalayan 6,000-metre peaks to his name. 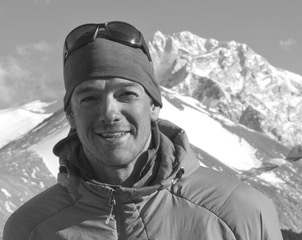 As a skier, climber and mountain guide, Smithwick focuses on unclimbed peaks and unskied lines. At age 38, this is his 59th Himalayan expedition. He arrived at this incredible number by stacking expeditions back to back for the past eight years. 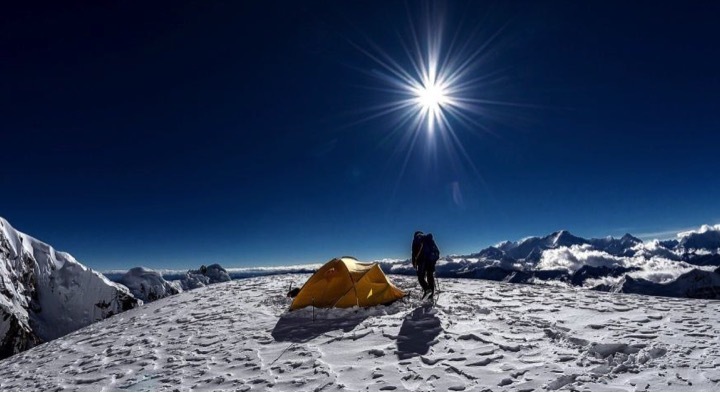 Smithwick is currently on a remote Tibetan peak to climb what he believes is the highest open unclimbed peak on Earth: 7,250-metre Labuche Kang Three East in Tibet. 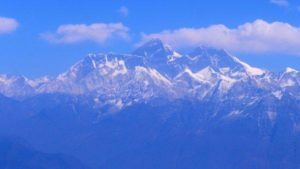 The designation “open” is important, because there are higher unclimbed peaks, such as 7,570-metre Ghankhar Puensum in Bhutan, that mountaineers are not permitted to attempt because of their local spiritual significance. The Labuche Kang range lies in the very northern reaches of the Himalaya, around 35 km northwest of Cho Oyu. The highest peak in the range, Labuche Kang One, was first climbed in 1987 by a Sino-Japanese expedition. Labuche Kang Two (7072 m) was climbed in 1995 by a French team. 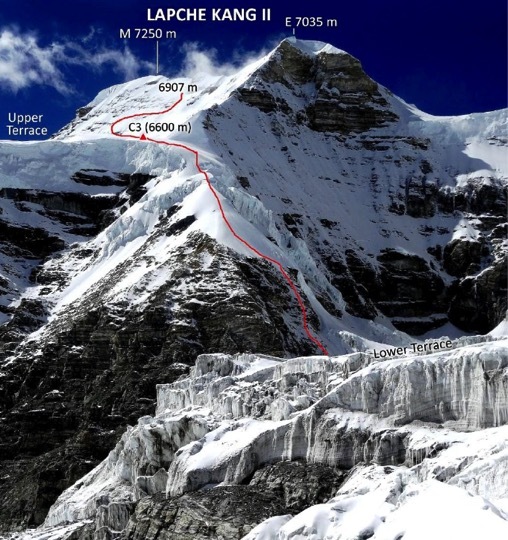 Labuche Kang Three East remains unclimbed. 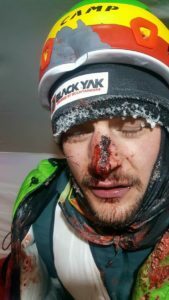 ExWeb caught up with Smithwick from the mountain’s Advanced Base Camp to find out more about the climb. ExWeb: We’ve interviewed you before, but for readers who missed that earlier coverage, can you tell us a little about yourself? I have a double major in Environmental Biology and Cultural Anthropology from the University of Colorado. I’m unmarried, but have family (mom, dad, two brothers) who live in North Carolina. For the last nine years, I’ve spent most of the year guiding skiing and climbing expeditions to the remote regions of Tibet, India, and Nepal, as founder and sole owner of Himalaya Alpine Guides. ExWeb: What drew you to this particular mountain? As someone focused on unexplored regions of the Himalayas, this was a perfect project for me. I found out about Labuche Kang Three East from a failed first attempt by the Poles in 2016, published in the Asian Alpine E-News. ExWeb: What is the schedule for the climb? 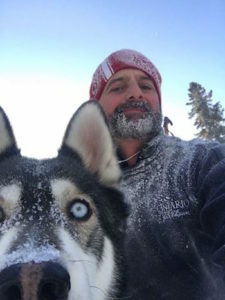 The expedition started two weeks ago, on May 1. The team spent five days acclimatizing at Langtang National Park (Nepal), scrambling 14,000-16,000 ft peaks every day, while waiting for their visas. 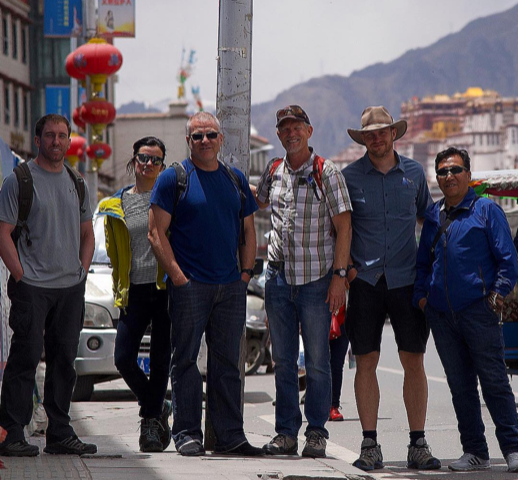 On May 8, they flew into Tibet and after two days in Lhasa started to drive to Tingri county. On May 12, they headed to BC. The summit push is scheduled for around May 19-21, weather permitting. ExWeb: Who is on the team? I’ve invited five climbers from Poland, Sweden, and the USA, who have previous experience climbing with me in the Himalaya, plus three climbing Sherpas. They all have strong experience at altitude and also acclimatize very fast. On our most recent expedition, in 2016, we climbed 7,075m/ 23,125ft Mount Satopanth in the Indian Himalaya in nine days. I love working with climbers who are fit and prepared. ExWeb: What’s likely the biggest barrier to summiting? Hidden crevasses and wind. The climbing itself is not that difficult. ExWeb: What are your chances of success? 4 Comments on "In Search of the World’s Highest Unclimbed Peak"
What about Muchu Chhish in Pakistan? Thanks for your comment Kyle. We are following up with Luke for more information on the status of Muchu Chhish. Good luck and all the best, Luke. Love your work. Godspeed!